Kingston/HyperX are historically known for their lofty heatsinks on their performance memory, thankfully, they have taken a step back from that and have instead presented us with a memory kit with some very unique styling. Sitting at a very reasonable 42.2mm tall, ensuring a broad compatibility with performance air coolers, yet they have retained an edgy or 'fierce' aesthetic. Aside from the looks, this series of DDR4 memory offers 100% tested performance ranging from 2400MHz CL12 all the way to the cherry picked 4000MHz CL19 (which is unfortunately rare/sold out at time of writing). Having a broad range of guaranteed speeds/timings makes life easier for those that prefer to have guaranteed frequencies/performance rather than chancing it with the silicon lottery, or for those that have no time/no confidence to overclock. 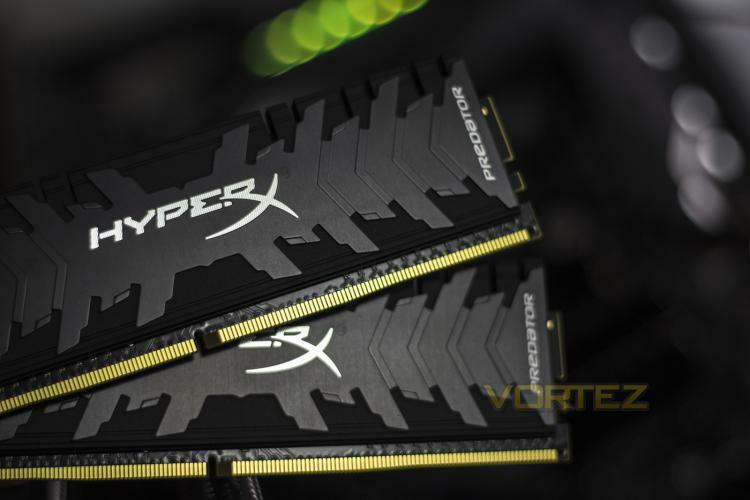 By default, HyperX have made their Predator DDR4 conform to the JEDEC 2400MHz CL17 standard, rather than 2133MHz CL15, do even if you do not go into the BIOS to enable the XMP setting, you will be sat at a higher frequency than what is commonly found, and you will of course have the peace of mind of a lifetime warranty backed by those awesome HyperX guys. The kit we are looking at today is the 3200MHz CL16 which is priced at around £165, with the 3600MHz dual channel kit priced around £179, and the quad Channel kit at £379.